Denver-based Central Development LLC will develop a 150,000-square-foot speculative industrial building as part of a new Class A business park in Centennial. 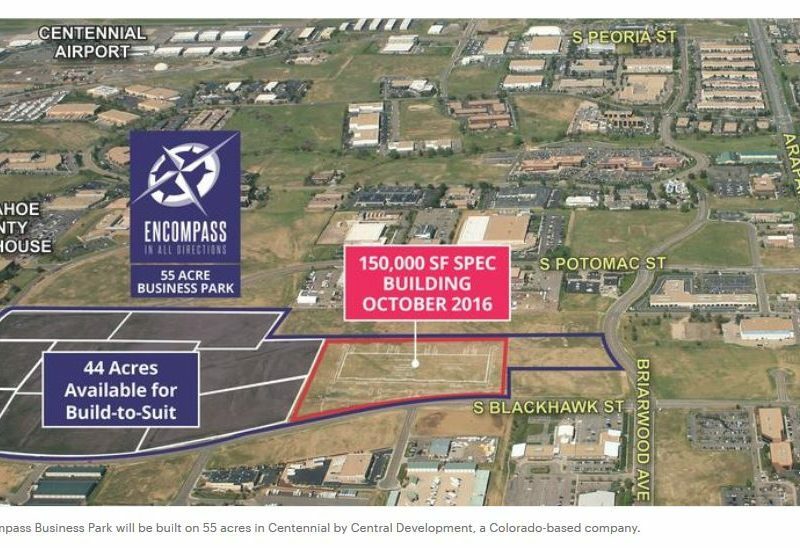 Encompass Business Park will be developed on 64 acres of land on the east side of South Potomac Street, between East Arapahoe Road and East Fremont Avenue. It will include both speculative and build-to-suit development for a wide range of user types and sizes, including light-industrial/manufacturing and office space. “This is one of the last vacant parcels on Arapahoe Road,” said Jeremy Records, Central Development principal. “It’s really an infill location,” he said. Among the park’s advantages are proximity to restaurants along Arapahoe Road, which allows employees to pick up lunch without driving 15 to 20 minutes each way, said Records. “We like the retail amenities. 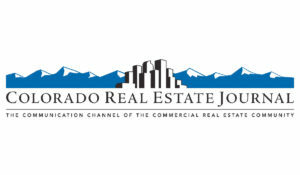 We like that it can pull from so many places.” The site easily accessible for employees who live in Highlands Ranch, Parker, Aurora, Denver Tech Center and Castle Pines, allowing employers to draw from a large, educated labor pool. While Encompass Business Park has good access to E-470, it’s also accessible without having to use the toll way, noted Brad Cushard, a partner in Central Development. 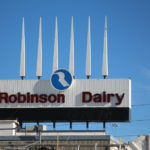 In addition, the business park has a use tax exemption for approximately seven years, which represents a cost savings to companies locating there. It also offers yard space, which industrial users are finding increasingly rare in the Denver metro area. Central Development is under contract to buy the site and expects to close on the land in July. Kittie Hook and Wade Fletcher of Newmark Grubb Knight Frank represent the partnership that is selling the property. They’re also marketing build-to-suit opportunities within the park and the spec building, which will have 25- to 27-foot ceiling height. Central Development intends to break ground in September and deliver the building in summer 2017. According to NGKF, the vacancy rate for industrial/warehouse space in the southeast industrial submarket is 3.94 percent, and research-and-development/flex space has 7.77 percent vacancy. 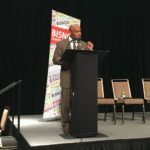 There are four existing buildings in the market, that can accommodate a user that requires 20,000 sf or more and 24- or higher ceilings, but all four are 15 or more years old, said Fletcher, citing CoStar data. Beyond that, there is one proposed building and two under construction that also could potentially fit that requirement, he said. With vacancies so tight, users are having to compromise on their space requirements. “What we’re offering is to get a building up and ready so somebody doesn’t have to compromise,” said Records. Hook said the business park already is generating a surprising amount of activity from users that want space quickly. It has interest from companies ranging from 15,000 to 150,000 sf. “It’s a tremendous mix of people we’re talking to for the site,” added Cushard. The speculative building will be divisible to 15,000 sf and will feature dock-high and drive-in loading. The high ceilings allow for two-story office build-out, higher racking than typically is available in the submarket and cranes. The building is being designed by Intergroup Architects, which was recognized nationally within the concrete tilt-up industry for its work on another southeast Denver Central Development project. 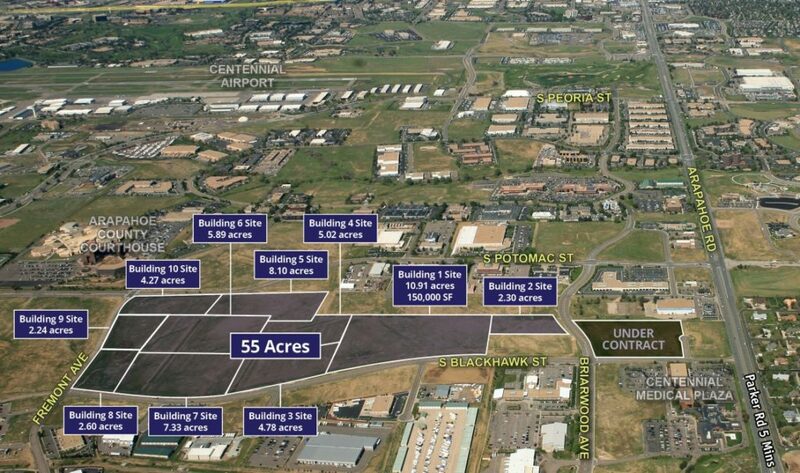 A total of 13 sites for buildings ranging from 14,000 to 150,000 sf have been delineated within Encompass Business Park, but they can be modified with administrative approval by the city of Centennial. “This is already zoned, entitled, everything is platted, ready to go,” Hook commented.  Central Development is a regional, family owned development company that has developed three buildings totaling approximately 300,000 sf worth an estimated $33 million in the southeast industrial submarket over the past five years. It also recently completed a 70,000-sf warehouse/distribution facility for Samuel, Son & Co. in Adams County and will break ground in July on an approximately 20,000-sf building for Interstate Electrical in Arvada. 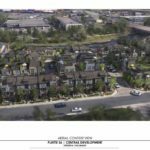 The company also will break ground in September on 56 townhomes along the South Platte River in Littleton.